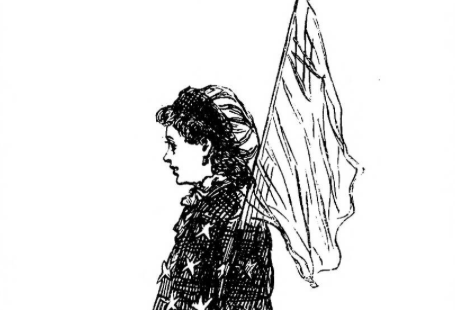 You’ll find lots of amusing stories in The British Newspaper Archive about the strange events that happened both in the United Kingdom and around the world. 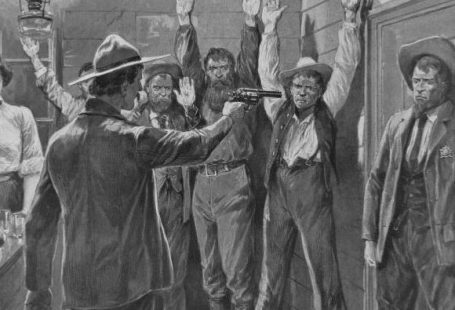 A number of local newspapers, including the Grantham Journal, Portsmouth Evening News and Sheffield Evening Telegraph, reported on one such event in 1890. 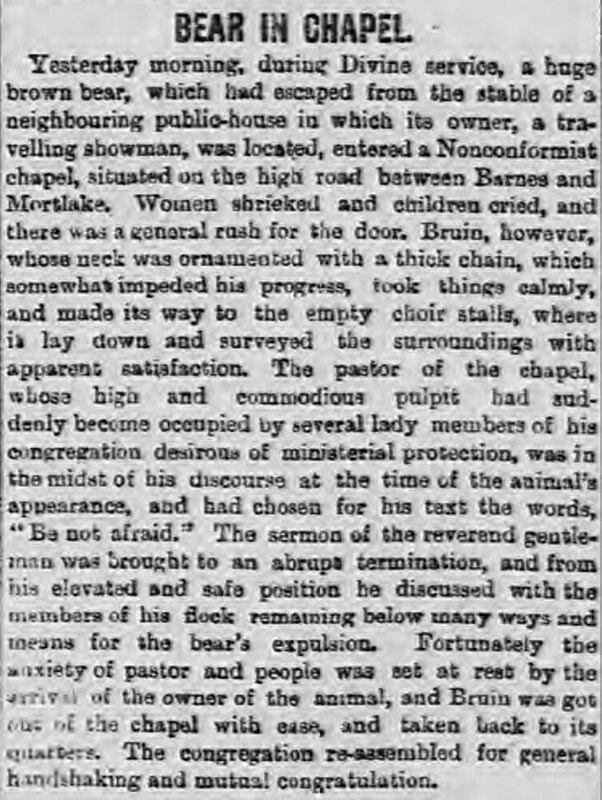 According to newspapers that are now available to search online, a huge brown bear interrupted a church service on Sunday 20 April 1890 after it escaped from a travelling showman. Image © THE BRITISH LIBRARY BOARD. ALL RIGHTS RESERVED. The Sheffield Evening Telegraph reported that the pulpit ‘suddenly became occupied by several lady members of the congregation desirous of ministerial protection’. The bear, however, seemed unfazed by the commotion. He made his way to the choir stalls for a lie down and proceeded to ‘survey the surroundings with apparent satisfaction’. Share the amusing stories you’ve found in the historical newspapers at The British Newspaper Archive. Either leave a comment below or email press@britishnewspaperarchive.co.uk to tell us what you’ve unearthed.